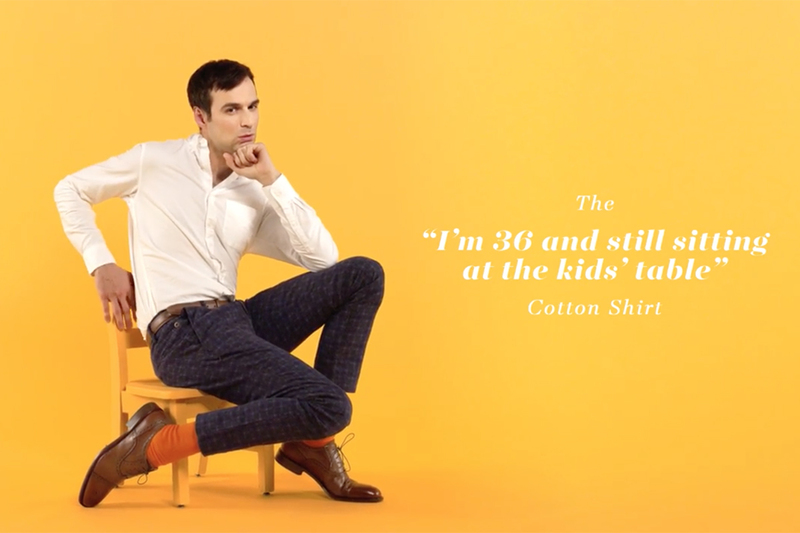 In a noble effort to save unwitting shoppers from the frightening epidemic known as "mystery fabric," Cotton Incorporated and DDB New York have created a web-based awareness campaign to educate consumers on the importance of label-checking for 100% cotton apparel. 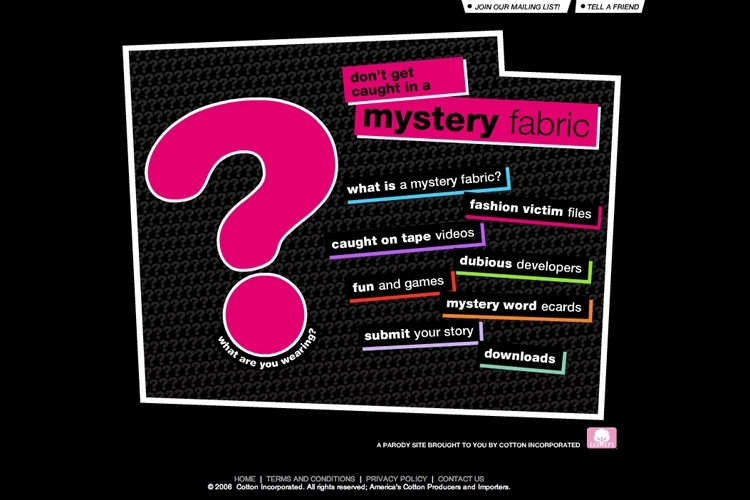 The Mystery Fabric parody website features video content like the Fashion Victim Files (testimonials by real-life victims relating their harrowing non-cotton experiences), as well as learning tools like the name generator (which spits out amusing definitions for faux fabrics like "fibramonolux"), a Flash-powered shopping game and a revealing fabric quiz. 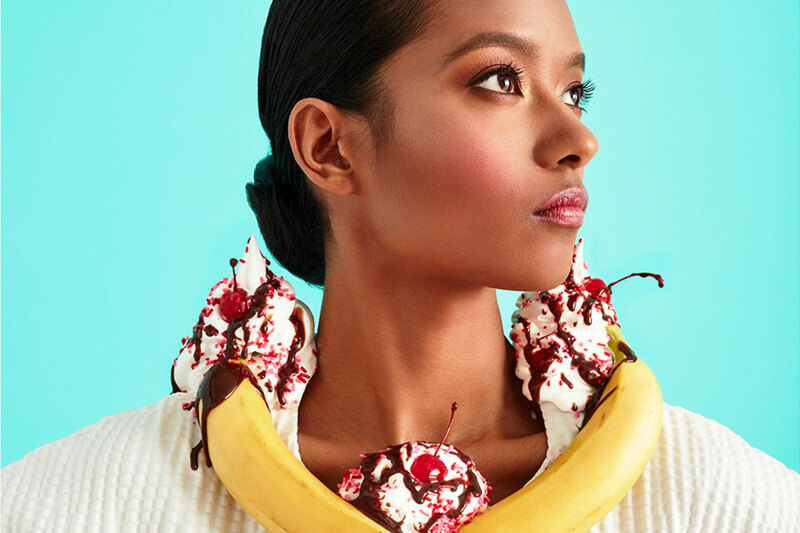 And those who wish to try the user-generated craze on for size can submit their own mystery fabric stories directly to the site.